Revolutionary New Tri Color Technology that produces colorchanging beams of LED light. Superior Optics produce Razor Sharp Beams across a Dance Floor or Great effect on wall. Rich Saturated Colors and Long Life LED. Considering purchasing the American DJ TRI Pearl LED DMX-512 Moonflower? Have questions? Ask people who've recently bought one. Do you own the American DJ TRI Pearl LED DMX-512 Moonflower? Why not write a review based on your experience with it. 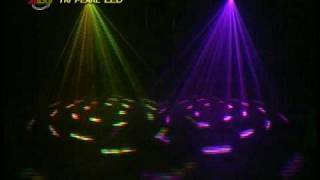 Seen a video for American DJ TRI Pearl LED DMX-512 Moonflower online or have you own video? 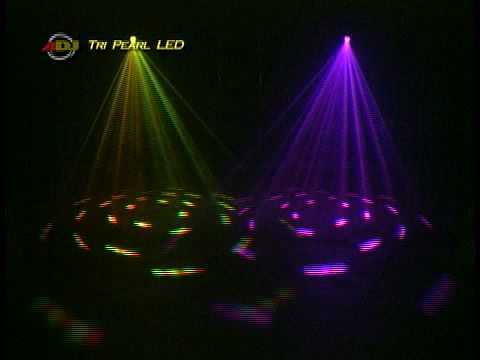 Check out American DJ TRI Pearl LED DMX-512 Moonflower on DJkit.com!